ARE YOU AN OUTGOING, ENTHUSIASTIC, AND PASSIONATE SPORTS FAN WHO WANTS TO BE A PART OF UTICA CITY FC’S INAUGURAL SEASON? WHO ARE THE CITY KEEPERS? UTICA CITY FC’S CITY KEEPERS ARE A GROUP OF DIEHARD AND PASSIONATE SEASON TICKET MEMBERS WHO AREN'T AFRAID TO EXPRESS THEIR PASSION FOR OUR CITY’S NEWEST SPORTS TEAM. AS A CITY KEEPER, YOU WILL BE AN INVALUABLE ASSET TO THE TEAM, AS YOU RALLY THE ENTIRE ARENA IN EXPRESSIVE OUTCRIES OF SONG, CHANT, DANCE, AND MORE. THE CITY KEEPERS ARE A LOYAL CONGREGATION OF SUPPORTERS FOR UTICA CITY FC AT ALL OF THEIR 12 HOME GAMES. CITY KEEPERS WILL CALL SECTION 212 THEIR HOME, AND AS THEY GROW, THEY MAY CONQUER THE SURROUNDING AREAS. WHAT DO I GET AS A CITY KEEPER? WHAT ARE THE REQUIREMENTS TO BE A CITY KEEPER? Not afraid of getting bumped around in the crowd, beer spilled on you, heckled by the opposing team, etc. HOW DO I BECOME A CITY KEEPER? For a $25 registration fee, you can become one of Utica City FC’s inaugural season’s City Keepers. Space is limited, so please fill out the form below to secure your spot! 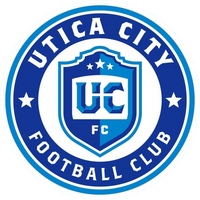 Are you a Utica City FC Season Ticket Member? If so, a Ticket Representative will be in touch to help transfer your seats into the Supporters Section. Why do you want to be a City Keeper? Thank you for joining the city! Our staff will be in touch with next steps.